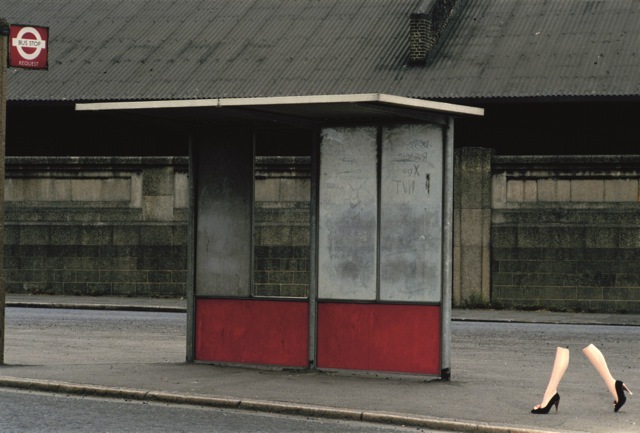 Guy Bourdin’ s major exhibition at Somerset House will shut down next month. If you haven’t had a chance to see it so far, it is now time to take one-hour break and be inevitably seduced by one of the greatest masters of fashion photography of all time. Known primarily for its long-term collaborations with Paris Vogue and fashion designer Charles Jourdan (fig.1-2), Guy Bourdin’ s brilliant definition of image-maker, goes inescapably side-to-side with the one of dream-maker. There is no such a photographer able to celebrate woman’s sexiness per se, in a colourful, dreamlike, irreverent, yet classically timeless way. His photographs are product and record of a visionaire who played with commercial still as principal medium for reproducing fashion fantasies and desire for objects. 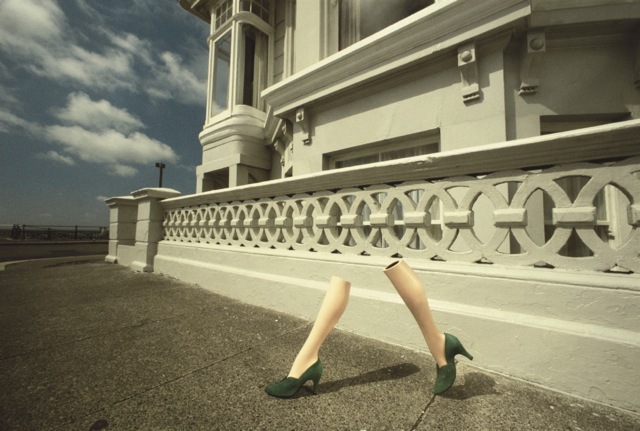 Visitor’s passage from the external courtyard of the Somerset House to the surreal Guy Bourdin ’s world is paced by a series of pictures of walking women’s mannequin legs (fig.3-4-5). Halfway between fetishes and props these fragments of elusive bodies wear beautiful shoes and duplicate visitor’s movements, blurring the boundaries between human and inhuman, reality and fantasies, art and fashion. From the exhibition’ s upper floor, the entire woman’s figure appears and with it the photographs’ narrative gets more complicated. One of the mains sources of inspiration is film noir, staging enigmatic femmes fatale caught just before or immediately after the scene of crime. The stillness of the photographs does not help to untangle the mystery and spectators find themselves feeling all fidgety and seeking for answers (fig.6-7). Curated by Alistair O’ Neill with Shelly Verthime the exhibition includes over 100 prints of Bourdin’ s most significant works and previously unseen material from the photographer’s estate, from 1955 to 1987. Sketches, paintings, fashion films, polaroids, black and white and colour prints from his corpus of work all contribute to reveal Bourdin’ s eclectic, yet reserved personality. It is indeed another glamorous fashion exhibition as part of a programme that is proving to be burning. 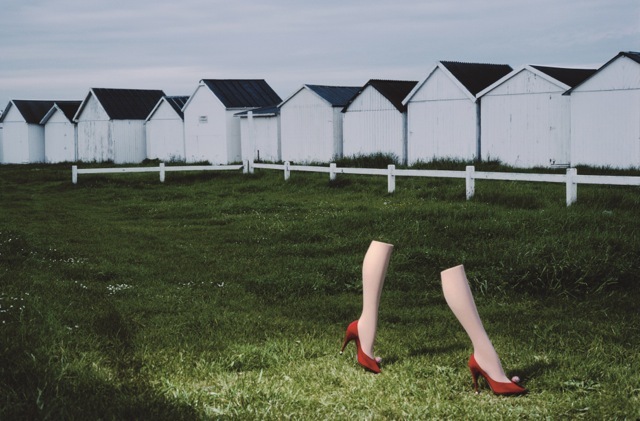 After Valentino, Isabella Blow, The Rude Boy and finally Guy Bourdin, we are dying to know what will be next.